Ready to take the first steps towards ‘closing the loop’ on your products and materials? Are you finding it difficult to spark interest with your colleagues? Maybe you have some sceptics to convince. Why not tackle the circular economy journey in stages, starting with the stationery cupboard. What should you use to guide your choices? I like to use the open-sourced Future-Fit Business Benchmark, which aligns with the Sustainable Development Goals. You use it to assess your whole business, and it helps highlight issues and improvement opportunities: materials should be recycled or renewable, safe for humans and living systems – not finite, scarce or toxic. How would your office stationery measure up? Increasing awareness of the issues with your colleagues can spark ideas for circular innovation in your business: for material choices, product and process design, recovery flows and commercial models. Those conversations can build interest in the benefits of using circular approaches across your organisation. Finding simple, low-risk ways to ‘close the loop’ in your office could open up discussions and encourage a circular mindset: office consumables could be an easy place to start. Where could you start with your first steps on the circular economy journey? You might begin with paper: for photocopying and printing, plus notepads, envelopes and so on. Finding sources of recycled paper is straightforward in many countries, but be careful to ensure ‘virgin’ fibre content is from properly managed forests. Using independently certified sources, such as FSC (Forest Stewardship Council) or PEFC (Programme for the Endorsement of Forest Certification), ensures you are not supporting deforestation. Should you use papers with recycled content? Or from tree-free (non-wood) fibres? If you are using paper from wood sources, how can you avoid those made from ‘old growth’ timber? What about the processing – is it chlorine-free? The Environmental Paper Network has a Purchasers Toolkit, including a handy visual guide on the Steps to Environmentally Responsible Paper. The toolkit and guide will help you consider things like tree-free alternatives, using agricultural waste – and now there are even companies making fully recyclable paper from stone! Is it better to have a durable pen, a refillable pen, or just choose a recycled pen, similar to those mentioned in my previous article? How do they compare: lifetime cost, materials used (recycled or renewable), end-of-use options? How might each feature create value opportunities for the manufacturer and supplier? Does using recycled plastic improve access to future resources? Could the provision of a nice, refillable pen create longer-term customer relationships for the supplier: so instead of choosing whichever disposable pen is on ‘special offer’, you are more likely to continue buying refills – and the manufacturer captures value through brand loyalty? Start discussions with your colleagues – what are the circular value opportunities for stationery items, for both users and buyers? How might these translate across to your business? For organising and filing, you might look at the re:cycle range from Leitz that uses recycled and recyclable materials. All the parts for lever arch file, including the metal lever arch mechanism, are easily removed for recycling. A slot in the lever mechanism holds a tool to remove the rivets so that in a couple of minutes you can separate the metal parts from the file outer. Using papier-mâché instead of the usual plastic for the ‘rado rings’ and thumbhole makes the file easier to recycle. Leitz tells us that these re:cycle plastic products are made with 100%-recycled materials – and are also completely recyclable. Other products in the range include magazine files, letter trays, project folders and so on. In the US, you could investigate the TerraCycle and Office Dept program for recycling old files, announced in March 2017. 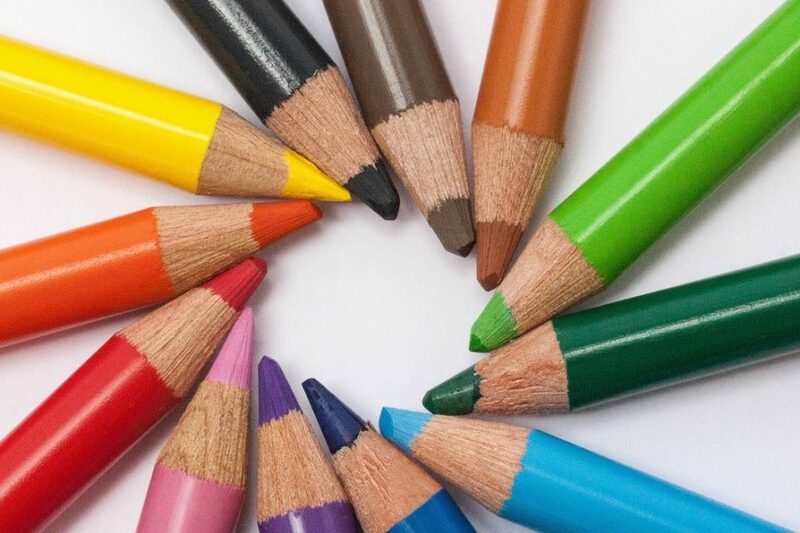 Pencils can be made from recycled paper or corn-starch. You can buy recycled ‘Post-it® notes, which use a mix of preconsumer and postconsumer fibre. Other brands are available! Copier manufacturers including Canon, Dell and Lexmark have recycling programs for toner cartridges. They may offer pre-paid postage for low-volume users and collection services for major volumes. I haven’t found supplies of OEM recycled cartridges, though there are lots of remanufactured cartridge suppliers. Many offices now procure copying and printing as a service – rather than purchasing the equipment – encouraging the provider to improve reliability and reduce running costs. You can encourage double-sided printing and recycling of office paper – and check whether you are recovering value from your office waste. If quantities of paper/drinks cans/plastic are too small to earn revenue, could you collaborate with neighbouring businesses, consolidating ‘quality’ waste streams and turning a cost into a benefit? In the office kitchen: could you swap plastic cutlery and plastic-coated paper plates for biodegradable items? Vegware claims to be the ‘only completely compostable packaging company operating globally: providing catering disposables [that] are low carbon, made from renewable or recycled materials, and all can be recycled along with food waste’. These early changes can create an interest in how to create and capture value. You could start a blog or internal news feed, ask for feedback, respond to concerns, and steadily gain interest and enthusiasm for your own transition to ‘circularity’. 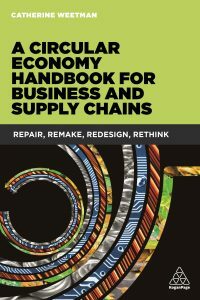 A Circular Economy Handbook for Business and Supply Chains offers lots more ideas and implementation tips. What do you think? How have you started ‘circular’ conversations? What are your ‘lessons learned’?